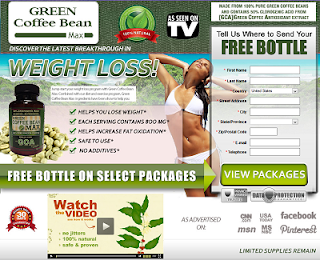 Fast weight loss tips are thick on the ground, and nowhere more so than on the Internet. Fast weight loss is the eternal hot topic for millions of women worldwide, and there is no shortage of advice about how to achieve it. Unfortunately, a great deal of advice on this subject is both dangerous and counter productive. 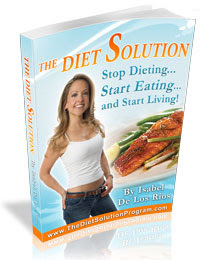 In fact, many popular fast weight loss diets are best described as 'crash diets', which will certainly enable you to lose weight fast, but are so restrictive and punishing, they are not sustainable, and the dieter will immediately re-gain their lost weight as soon as they go off their diet. This cycle is absolutely frustrating and demoralizing, and is as bad for your mind as it is for your body. 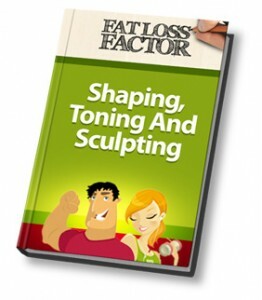 The reality is, the principles behind losing excess weight are actually very simple. And if you are looking for a powerful and healthy way to achieve this, the weight loss diet you choose should embrace these principles. 1. Eat smaller portions of nutritious food regularly (e.g. 4 small meals per day). This will ensure you will not feel feel hungry and lethargic most of the time. Feeling extremely hungry and lacking in energy are common when you follow most diets, because you are consuming fewer calories infrequently. Ideally, you want to be eating smaller but more regular portions of healthy food to avoid hunger and tiredness. This strategy also serves to boost your metabolism which is key to your success. 2. Drink a minimum of 10 standard glasses of water per day. This is such a simple thing to do, but so often, it is underestimated as a weight loss strategy. Water is important because it regulates our temperature, cushions and protects our vital organs, aids digestion, transport nutrients to working muscles and organs, helps dispel waste and can help prevent us from over-eating. Obviously this is vital while you are trying to lose weight. Every day, water is consumed or expelled from our bodies, which means that it needs to be continually replaced, but even more so when you are on working hard to lose weight. When the temperature of our body rises, during exercise for example, we lose higher amounts of water through sweat. In one hour of intense exercise, our body can lose up to a litre or more of water. When we fail to replace lost water and our body can't cool itself properly, we enter a state of dehydration. Sometimes we can mistake mild states of dehydration for hunger, which will easily derail our weight loss efforts. When we don't drink enough fluids, our body gives us signals which resemble hunger pains. When this happens, many of us start eating unnecessary calories because we have misunderstood what our body is trying to tell us. Obviously, this is going to make the process of losing weight even more difficult. By staying well-hydrated throughout the day, we minimize the chance of unnecessary eating and maximize our chances of achieving our goals. 3. Exercise for 30-45 minutes each day. Just like staying properly hydrated, exercising daily is a powerful but simple strategy that most people underestimate. The exercise you choose should ideally be something that you enjoy, and that you can fit in to your daily routine without too much drama. So often, when people embark on a diet, they feel the need to punish themselves with starvation and torturous gym workouts. Neither of these things is healthy, enjoyable, or sustainable. So find an exercise you love and commit to it. To be honest, a brisk 30 -45 minute walk each day is enjoyable, won't cost you a cent and is accessible to everyone. So give it a try. 4. Never eat until you are completely full, only ever eat until you are just satisfied (leave a little room for more). This is a big one. Consistent over eating (i.e. eating until you are uncomfortably full) is one of the main reasons why people gain excess weight. Re-train yourself to eat slowly and enjoy your food. Make sure you don't eat in front of the TV or computer, but sit at the table, serve up small portions of food (on some weight loss diets, there is no specified portion size, so you can always go back for more if you are still genuinely hungry). Chew every mouthful 20 times, and savor your food. Researchers say that how much you sleep and quite possibility the quality of your sleep may silently orchestrate a symphony of hormonal activity tied to your appetite. While doctors have long known that many hormones are affected by sleep, it wasn't until recently that appetite entered the picture. What brought it into focus was research on the hormones leptin and ghrelin. First, doctors say that both can influence our appetite. And studies show that production of both may be influenced by how much or how little we sleep. In fact, have you ever experienced a sleepless night followed by a day when no matter what you ate you never felt full or satisfied? If so, then you have experienced the workings of leptin and ghrelin. This is why getting a good nights sleep is so critical to your success. 6. Allow yourself a couple of 'free days' every 10 or 11 days or so, where you can eat whatever you feel like whilst. This way you do not need to feel that you are depriving yourself of your favorite foods all the time. Look for a weight loss plan which factors in some free days for you to enjoy your favorite treats without guilt or resentment. Plan your meals in advance, and be ready to pack lunches etc to take with you to work so that you are never caught short without something healthy and nutritious to eat. This will help you to stay on track. 8. Rotate your calories (also known as 'calorie shifting') so that your metabolism is tricked into burning the calories you feed it faster and more effectively. This is a strategy which ensures that you are still getting all of the nutrients you need, but your metabolism is cranked up a notch so that you can achieve your weight loss goals. 9. Whilst trying to lose weight, eat your food as plain as possible. Avoid adding heavy sauces and dressings to everything you eat, and use herbs and spices to flavor fresh ingredients. Creamy sauces and dressings are usually loaded with empty calories that will stop you from achieving your weight loss goals. 10. This is the big one...be consistent. Stick with it. And reward yourself when you reach your goals. Most importantly, enjoy the healthy way your body will look and feel after you have achieved your goals. There are many ways to achieve lose excess weight, but always look for the healthiest and most sustainable way.